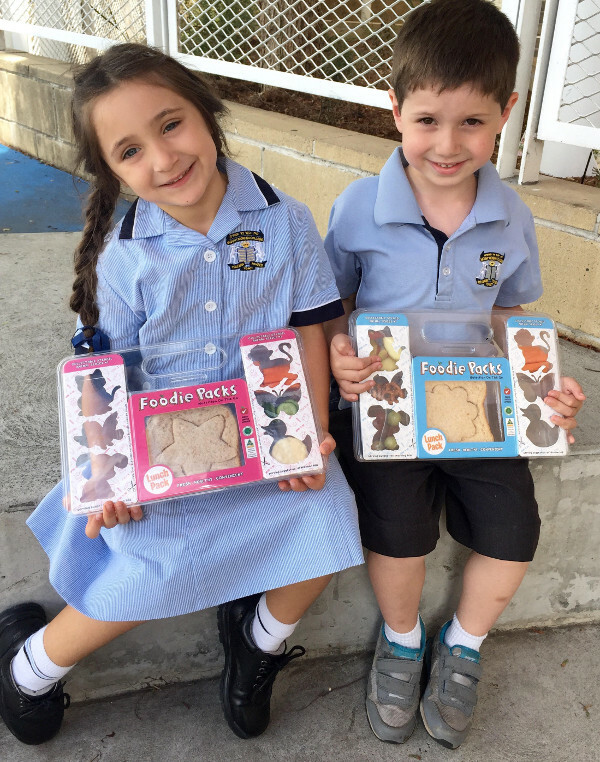 Aussie mum creates Foodie Packs for school lunch to save us all time! When single mother-of-two Alizah Maryanka got her daughter ready for her first day of school this week, she didn’t have to worry about what to pack for her lunch. Thanks to her healthy lunch creations, many other parents will soon be freed from the daily lunchbox minefield, too. 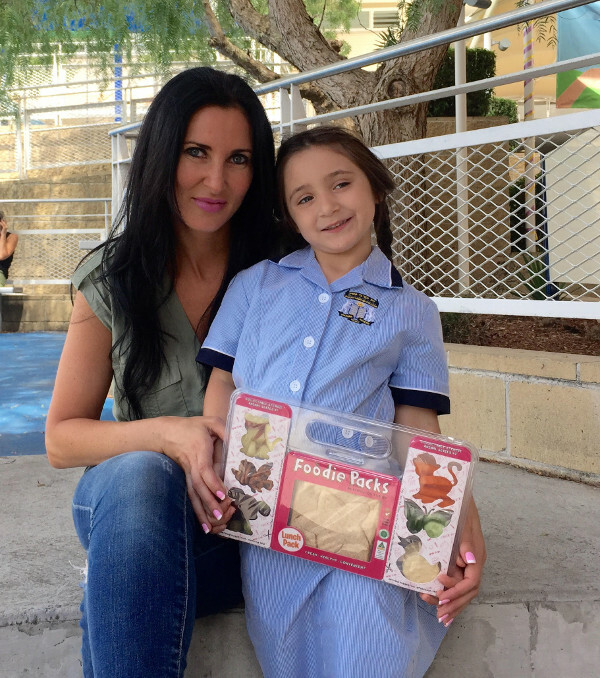 What started as an attempt to make her life easier by creating healthy school lunches for time-poor parents like herself, has turned into big business for Alizah, whose Foodie Packs are just weeks away from hitting supermarket shelves. A lawyer by profession, Alizah is not one to do things by halves or to back down easily. After giving birth 18 months ago to her son Maestro, who had various health complications, Alizah had to split her time between the hospital, home and managing her fashion label and busy Sydney retail shop seven days a week. At the same time Alizah’s daughter Symphony had just started preschool and the time-poor mum says she was “desperate for a lunch solution”. “I was new to making lunches so I went online to try and find something, but all you could get were things like packaged biscuits, there was absolutely nothing fresh on the market that you could give a kid,” Alizah tells Babyology. Determined to make her life easier, Alizah approached several manufacturers in the hope she could encourage them to fill the obvious gap in the market. She says, at first, all she faced was rejection. “Many said it can’t be done due to shelf life problems because, although it is a simple idea, it is actually really complicated from a food technology point-of-view to actually pack a sandwich with fresh fruits and vegetables and get the shelf life out of it,” Alizah says. The specially designed Foodie Packs, complete with see through cases and fun cookie cutter shapes will hit Woolworths shelves in metropolitan Sydney supermarkets within the next two weeks, with plans to expand from there. Alizah says she originally set out to ease her workload as a busy mum but somehow created a business that demands even more of her time. “It was never meant to be a business, I just wanted someone to make it so I could buy it, it was that simple,” Alizah says. “I think it was just that absolute resilience, which is part of my personality that I don’t understand no. “To have them put it on the shelves meant that I had to design it and make it, it has gone through so many stages to get here. The whole journey came full circle this week, when Alizah took her daughter to her first day of kindergarten. “We did the tears and she was so brave and she went with her Foodie Pack,” Alizah says. “She was so strong and then when I left the room she started crying and so did I, I am so proud of her. Alizah says she has already received great interest from overseas markets such as New Zealand, the UK and the US. She tells Babyology there is also a huge demand coming from adults looking for help with portion control and for workmen on sites wanting a healthier option. “I never imagined any of this at all. “I am simply making something I need and if I can help other people, even better,” she says.